Luxury Venetian eye mask has been made by using special aging / cracking technique which makes mask's face look like antique porcelain. This gorgeous mask is decorated with macrame applique and jewel detail. Made of lightweight plastic for a comfortable wear. 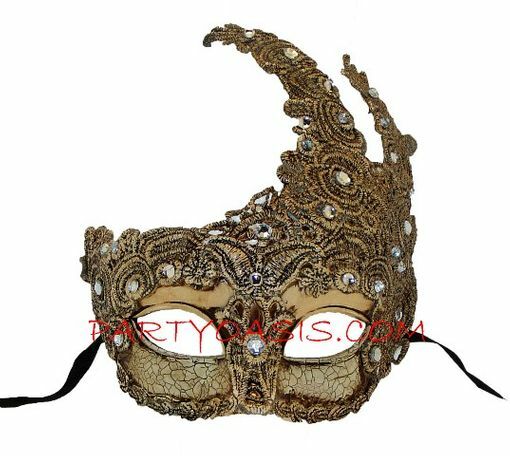 Perfect as a part of Carnivale, Halloween, Masquerade, Mardi Gras party costume. Comes with ribbon ties.